An exam is that part, which is very important in shaping the student’s career.So instead of getting nervous or stressed here are few tips which will surely help you to clear the exam with good ranks. 2.Read through the entire of your notes. It will refresh your memory of the material and help you remember what you learned. It will also help to make you aware of all the information in your notes. Decide if you think your notes are sufficient enough to study from. 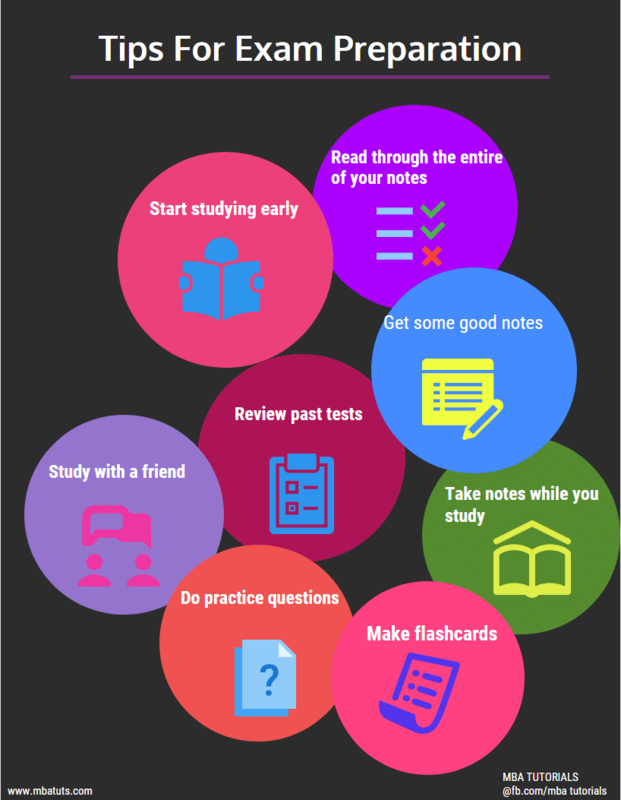 4.Take notes while you study. After you have taken notes from studying all of your materials including the book and your notes, use that information to make flashcards. This is especially helpful for subjects such as math’s, accountancy. Practice doing the questions in the book that you were assigned for homework. Do extra questions in the back of the book. Do practice questions until you feel more comfortable with the subject matter. If you have a friend who has taken the test the year or semester before, ask your friend if you can see his or her test. Take note of the questions that were answered and the answers that were marked correct and incorrect. If you are in college, some universities they keep past exams question papers file contact your professor about reviewing them. Get together with a friend or group of people from your class and study together. It doesn’t have to be a formal study group. You can simply review each other’s notes to see what you may have missed, and discuss concepts you think will be covered on the test. 10 Rules Of A Great Conversationalist.